You wouldn’t believe that this beautiful Google Slides template is free. Featuring a minimalist and a modern design, this template is perfect for creating a simple slideshow for a creative presentation. This free Google Slides template will allow you to create a great slideshow for a business or a corporate presentation. It features a colorful design with lots of vector elements. This free Google Slides presentation template is crafted for corporate businesses and brands. It comes with a modern and a creative design that will help you attract the attention of your audience with each slide. If you’re a fan of creative illustrations, you’ll love this Google Slides template. It features a set of beautiful slides that includes lots of line-based illustrations. You can download and use it for free as well. This Google slides template comes with 25 unique slides and it features a modern and a colorful design. It also includes 80 icons and lots of vector charts and graphs as well. All of it comes to you free of charge. A simple and free Google Slides template that’s ideal for designing slideshows for photography or fashion related presentations. The slides are easily customizable as well. Aumerle is a colorful and a quirky Google Slides template that’s filled with joy. It’s best for creating presentations for kids and children. It can be downloaded as either Google Slides or PowerPoint. This Google Slides template features lots of watercolor effects and styles. It includes 25 unique slides for creating presentations for creative and design related works. This template is filled with timelines. You can use it for creating business projection slides and showcasing product growth. It includes 5 different slides with different timeline designs. This Google Slides theme comes with 25 unique slides filled with science-related graphics and vectors. It’s ideal for creating presentations for school projects. Check out our PowerPoint presentation templates and Apple Keynote templates for more inspiration. 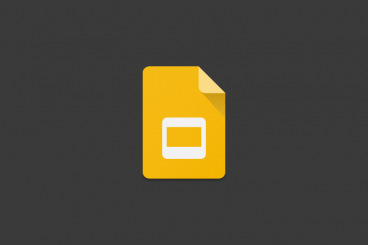 Google Slides is a free, powerful way to create presentations. Our series on Google Slides shares tips and ideas for working with the app, as well as beautiful Google Slides themes to help your next presentation stand out from the crowd!